Daphne Blakemoor was perfectly happy living in her own secluded world for twelve years. She had everything she needed-loved ones, a true home, and time to indulge her imagination. 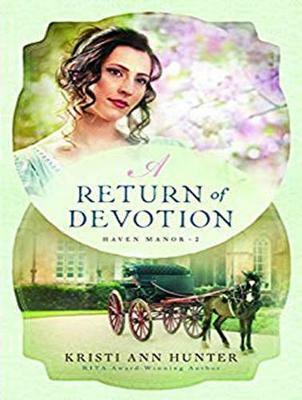 But when ownership of the estate where she works as a housekeeper passes on, and the new marquis has an undeniable connection to her past, everything she's come to rely upon is threatened. William, Marquis of Chemsford's main goal in life is to be the exact opposite of his father. Starting a new life in the peace and quiet of the country sounds perfect until his housekeeper turns his life upside down. They've spent their lives hiding from the past. Can they find the courage to face their deepest wounds and, perhaps, find a new path for the future together?